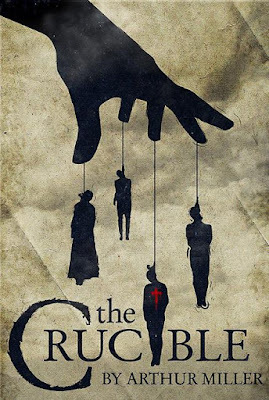 I read The Crucible long ago and found it powerful, but was much more impressed with it when I saw it in the theater a couple years ago. I was shaken - the acting was that good and the story that strong. Nice review! (I also chose an Arthur Miller play for my Back to the Classics challenge - Death of a Salesman. It was good in its own way, but too depressing and the characters too unlikeable for my taste. I think I read this in High School, but now I'm not so sure.... I think I'll just have to read it again! Thank you! Susan - Thanks! I can imagine how impressive the play must be when enacted; pretty difficult too to get it right, I think. I haven't read any other plays by Miller, and I don't think I want to, either... I think it is the theme itself that makes this one so great, not just the writer! Sarah - You should, it's a quick read anyway! Thanks for stopping by!